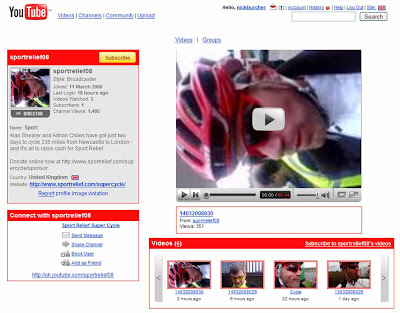 BBC Sport Relief Supercycle with Adrian Chiles and Alan Shearer enhanced by Web 2.0! 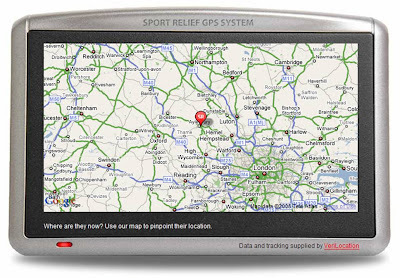 A recent visit to Africa inspired Alan Shearer and Adrian Chiles to join in the fundraising for Sport Relief. 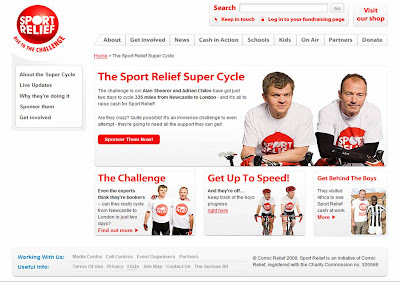 They are trying to cycle 335 miles from Newcastle to London in just 2 days, using this 'Supercycle' to raise as much money as they can along the way. 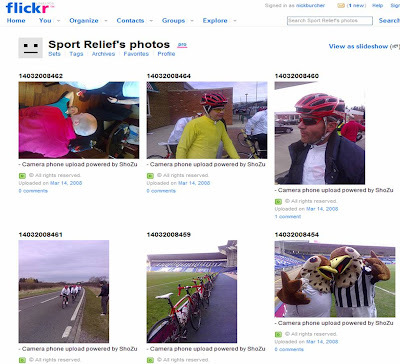 Rather than just having a brief highlights package in the main programme tonight, the BBC Sport Relief Super Cycle is being brought to life through a wide range of Web 2.0 properties and I think this is a great way of enhancing a both a fundraising effort and a TV event. 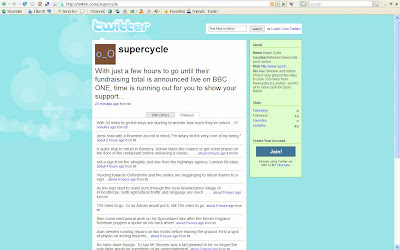 The Super Cycle Sport Relief website (http://www.sportrelief.com/supercycle) has live updates through Twitter (http://twitter.com/supercycle), a link to a SportRelief Flickr page (http://www.flickr.com/photos/24595050@N06) which is being updated from mobile phones, a Google Maps powered GPS tracker widget and links to a YouTube page too (http://uk.youtube.com/sportrelief08).